911-238B Value Series - 3.5" O.D. Miss Tess is a great playground for the 2-12 age group. 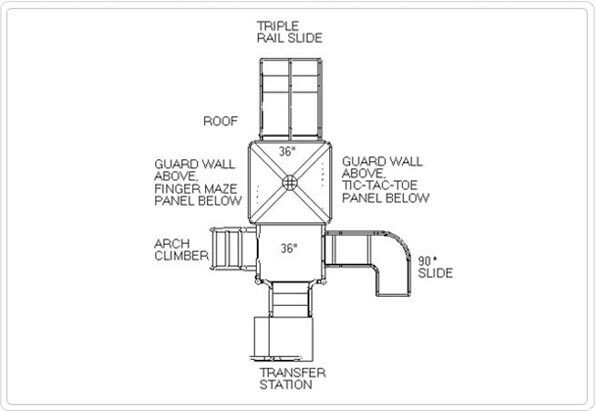 It has a transfer station for accessibility. 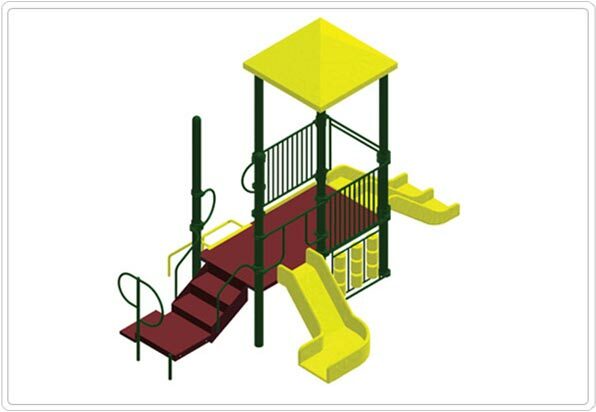 Two ground level components make it an accessible playground for all ages. 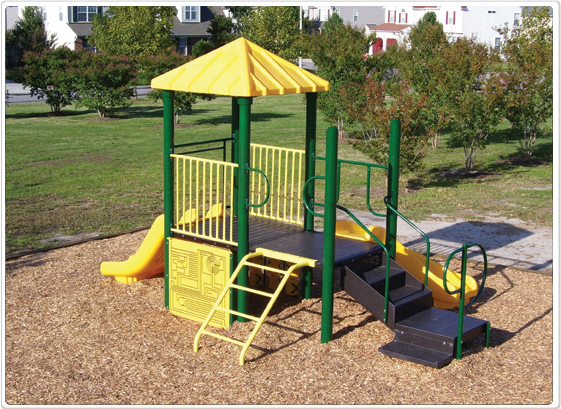 A lot of fun slide on the 90 degree slide and triple rail slide, an arch climber plus a pyramid shade roof round out this winner of a playground structure.